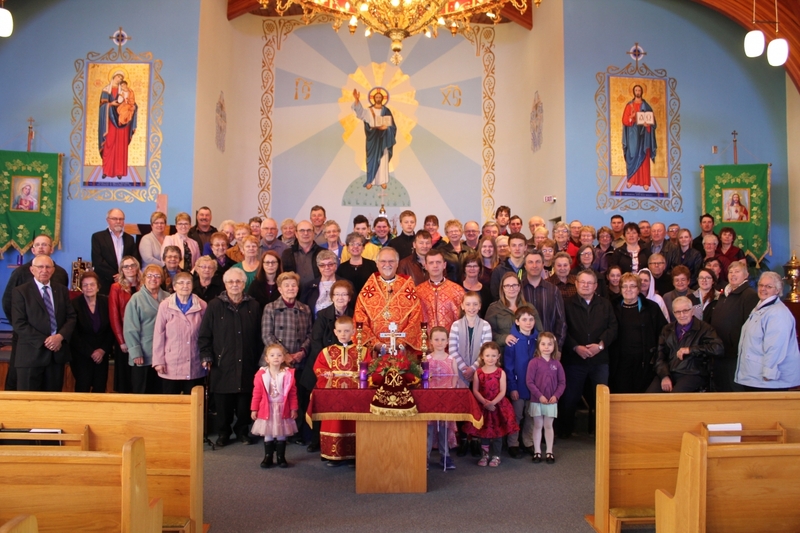 This past week (March 21-24), Father Mykhaylo and the lay faithful welcomed into their parishes (Sacred Heart of Jesus, Rossburn and St. Josaphat's, Shoal Lake) a distinguished speaker -Most Rev. Archbishop Stefan Soroka. During four days we had a blessing to pray, to listen, to meditate and most important to repent and to reconcile our souls with God. In he third session His Grace asked us to curb our anger, resentment and envy of others by listening, observing and sharing with others, which will also include our observation of people and their needs. 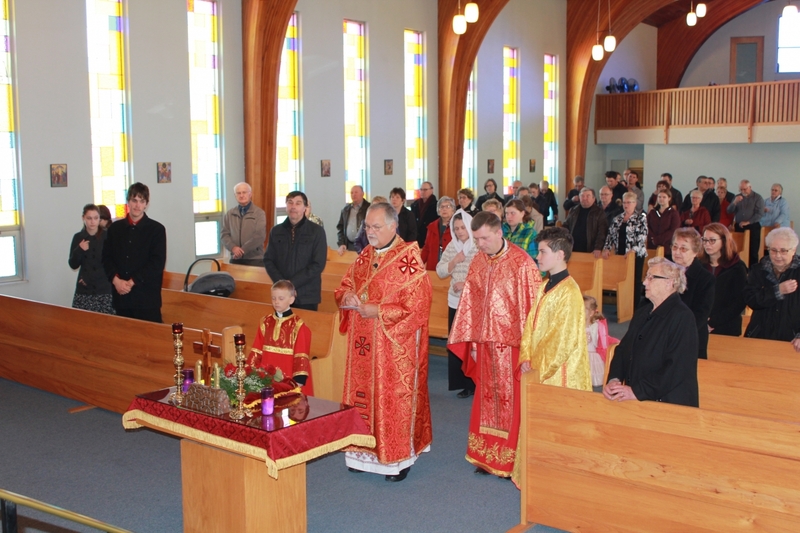 On Sunday of the Veneration of the Holy Cross, at the final session, archbishop Stefan spoke about Jesus' healing miracles, even from the Cross. 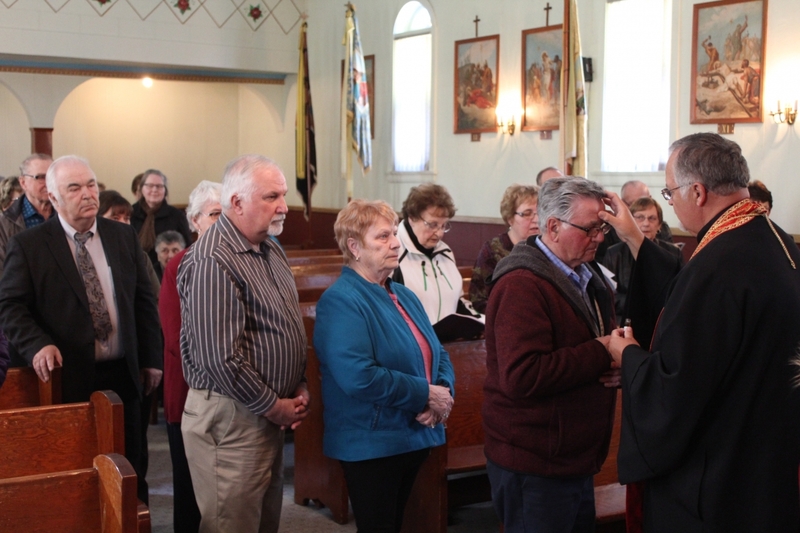 At the end of the Divine Liturgy all faithful received anointing for the healing of soul and body and venerated the Holy and Life-giving Cross. 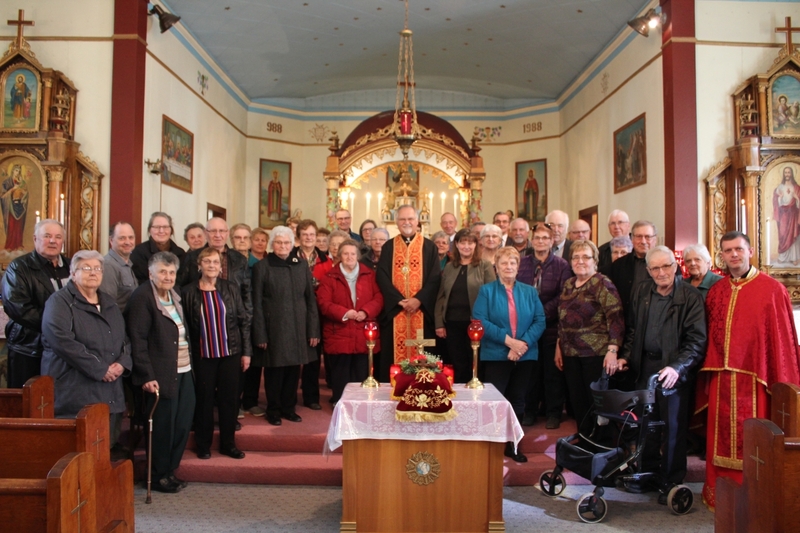 The Mission was concluded with a delicious Lenten dinner which was prepared for all parishioners and guest. As a community of faithful we wish Archbishop Stefan many years of health, happiness, unwavering fortitude and faith.